Summary: Consider the humble crayon. Seems like it has always been with us, but prior to the 20th century, kids were limited to dull slate pencils. Along came Edwin Binney, an inventor who loved color. Working with his cousin, C. Harold Smith, he created gray slate pencils, white chalk, and black crayons. But colored crayons eluded him. At his secret lab in Pennsylvania, he melted paraffin wax, ground rocks and minerals into powders, and mixed in clay to thicken the substance. One evening in 1903, Edwin announced that he had successfully made colored crayons. His wife Alice combined the French words craie (stick of chalk) and ola (oily…an oily stick of chalk? 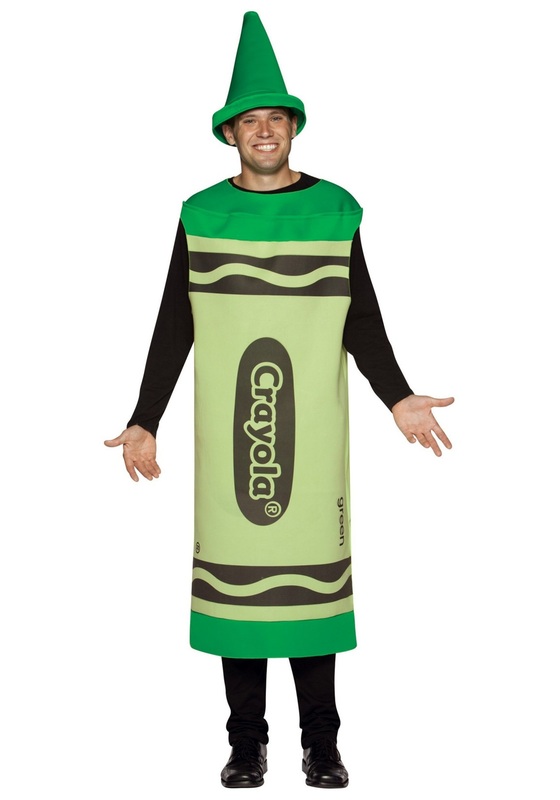 hmmm) to come up with the now ubiquitous Crayola brand. Fortuitously, crayons were created around the same time that cheap paper became available, and the rest is colorful history. 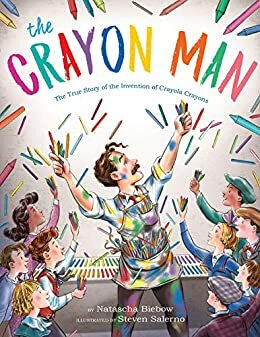 Includes two pages of photos showing how Crayola crayons are made today (at the Binney-Smith factory in Easton, PA, where I did an internship while attending Lafayette College many moons ago); more information on Edwin Binney; and a bibliography of primary and secondary sources. 48 pages; grades 1-4. Pros: Kids will be fascinated to learn how their crayons were invented. The illustrations of workers covered in color after laboring over pigments all day are fun, and Edwin Binney’s perseverance is a good lesson in not giving up. Cons: The origin of the “Burnt Sienna” color name is not revealed.